reliable HVAC/R support to businesses across Southeast Michigan. Had few companies either backed out or just unable to do the job. Made a desperate attempt with this company and they came in 30min and went through some time to get all the parts necessary. Had everything done on the same day! We were so satisfied with their work, we even asked an estimate on other non-emergent works on the same boiler. We will definitely use them for our needs in the future!!! When it comes to your commercial heating, cooling, refrigeration, and boilers, choosing an experienced contractor with fast response times is key to the comfort of your customers and employees. Mechanical Temp is a reputable, family-owned and operated HVAC/R company that serves Metro Detroit’s finest commercial and industrial establishments. We have been in business since 2013, and are dedicated to providing quality service that is backed by experience and proven best practices. Our technicians maintain great and lasting relationships with our clients, as we know that HVAC/R help is rarely a one-time occurrence! Michigan’s winter weather can be ruthless, and even more so when your commercial or industrial building’s heat goes out. Our technicians can quickly get on site and provide reliable commercial heating repairs to warm up your customers and employees on even the coldest of winter days. Ask about our preventative maintenance programs that reduce the risk of heating failure! When it comes to the food and beverage, automotive, grocery, floral, and storage industries, they will lose money if their refrigeration fails. The team at Mechanical Temp is experienced with servicing all makes and models of commercial refrigeration equipment and knows how critical time is when your refrigerator stops working. Our prompt repair team is available 24/7 to ensure that your products stay the temperature that they’re supposed to. When your AC cuts out on a hot summer day, getting your customers and employees the cool air they need (and fast!) is the top priority. 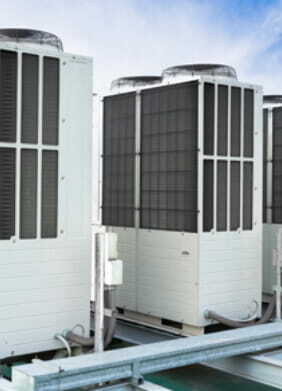 By choosing Mechanical Temp, rest assured that quick commercial AC repairs are on the way. We also offer preventative maintenance to ensure that your AC continues to run efficiently, reducing the risk of repairs in the future. Boilers by law must be inspected yearly to ensure safety and efficiency. Our CSD-1 certified team can examine your building’s boiler and can provide tune-ups and repairs if deemed necessary. We’re readily available to stop by your commercial or industrial building for an inspection!